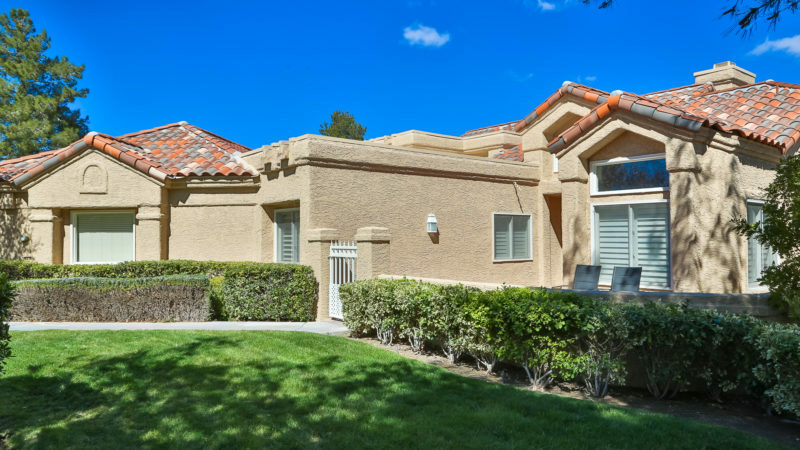 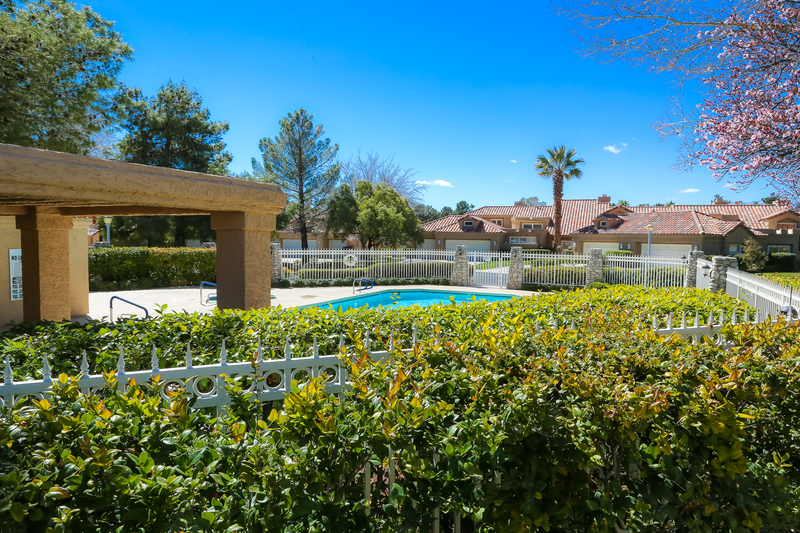 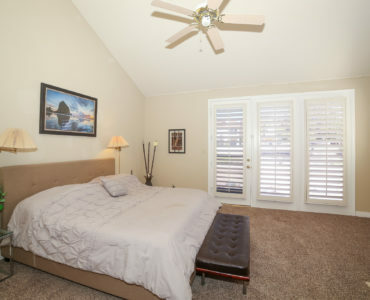 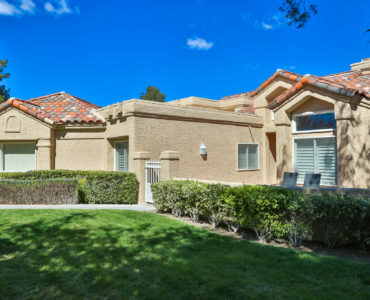 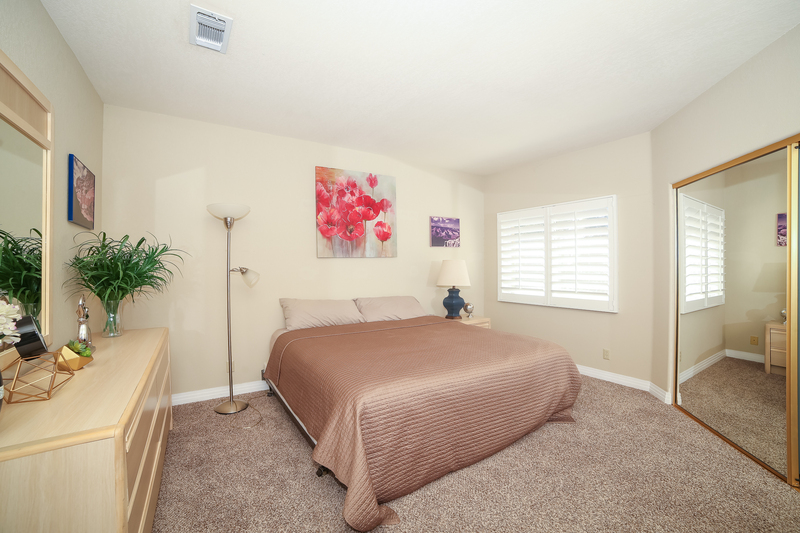 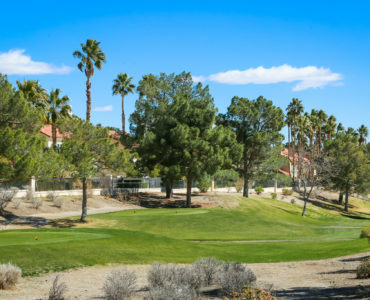 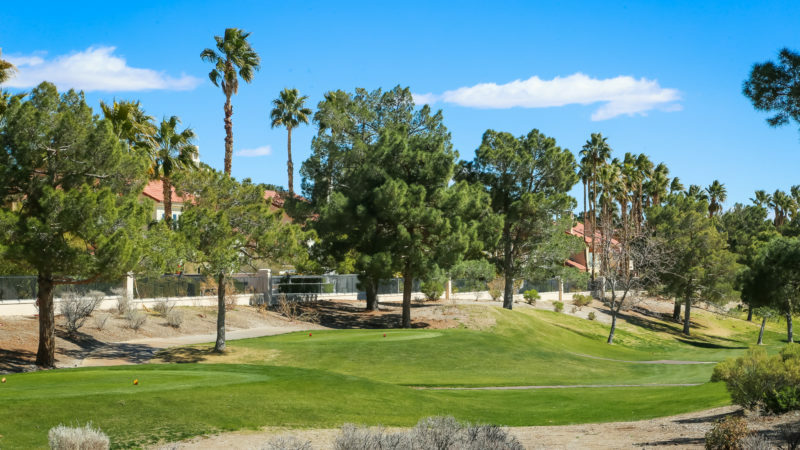 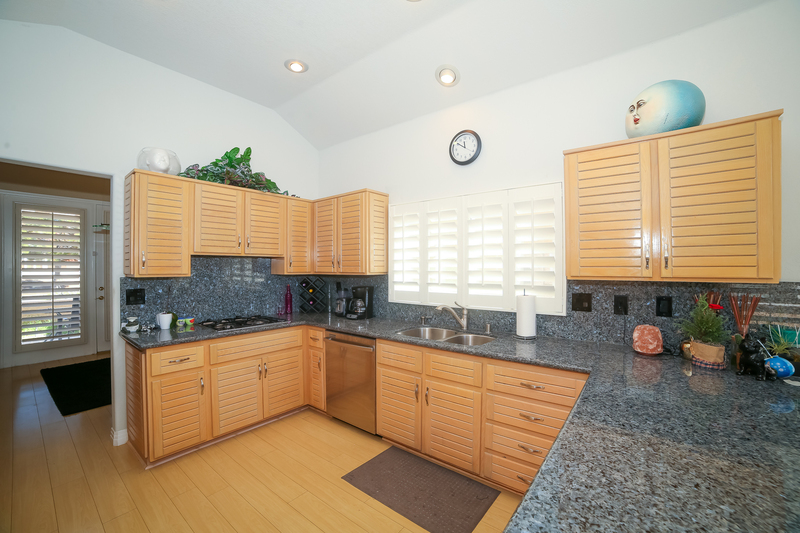 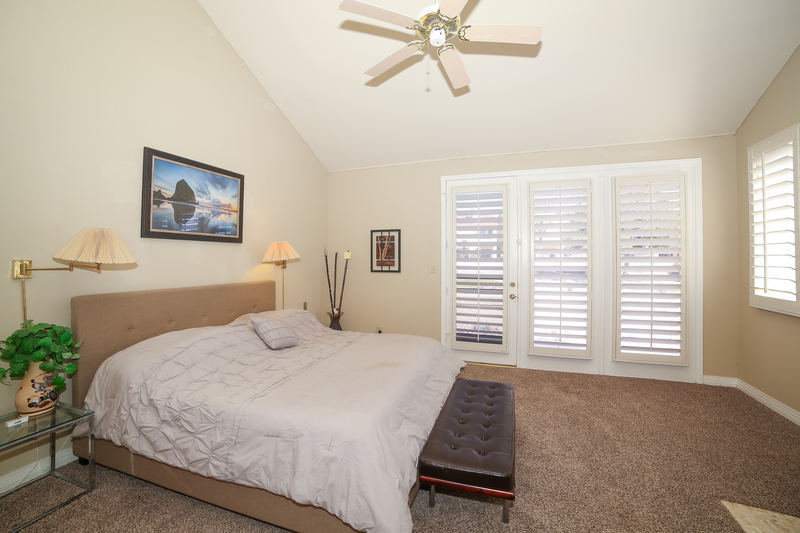 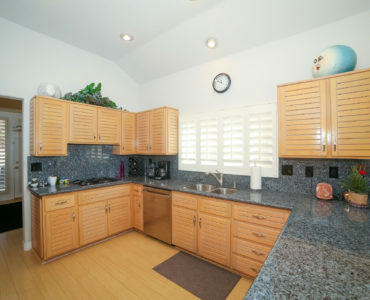 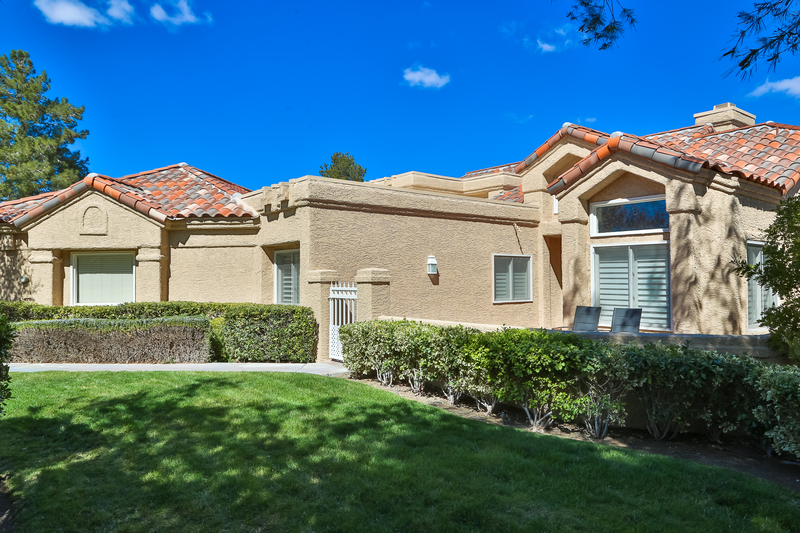 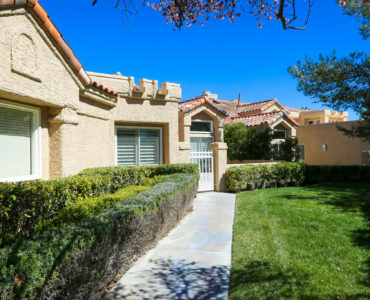 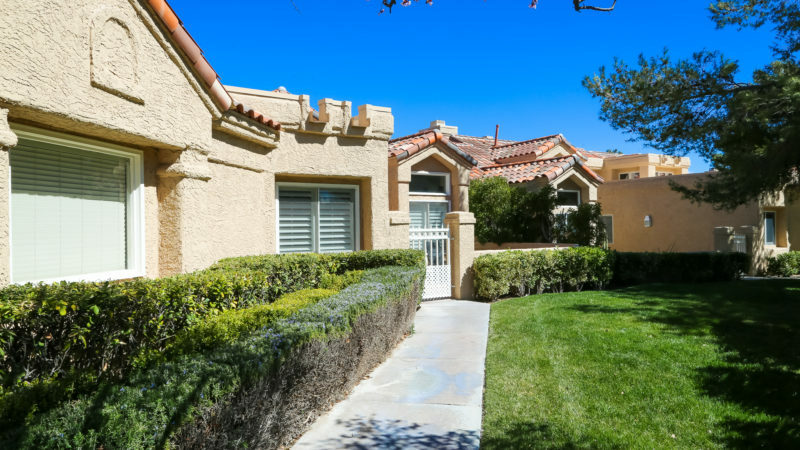 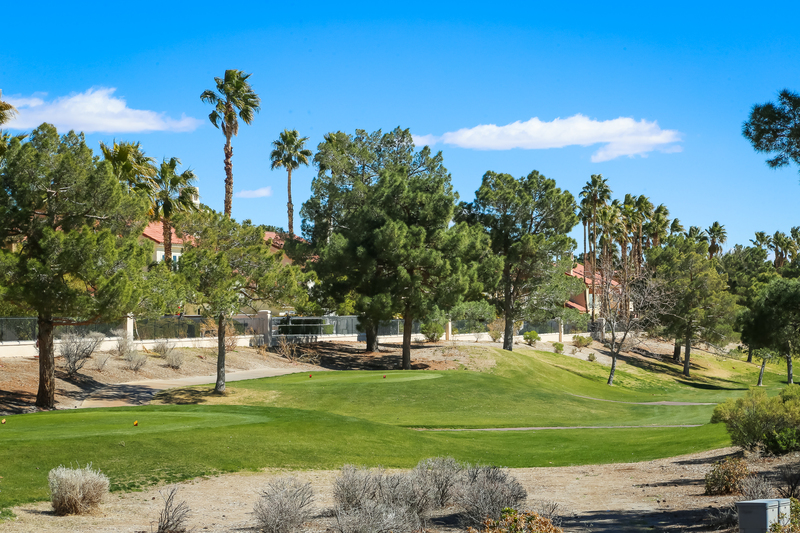 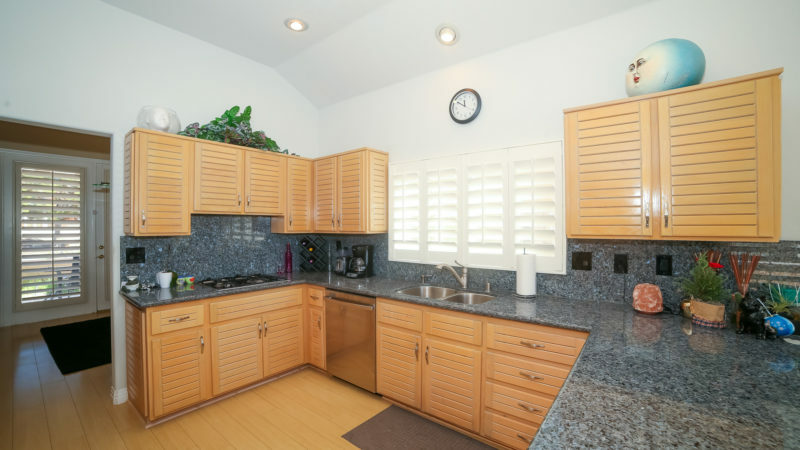 This popular single story Gardens townhome is an end unit on the golf course. 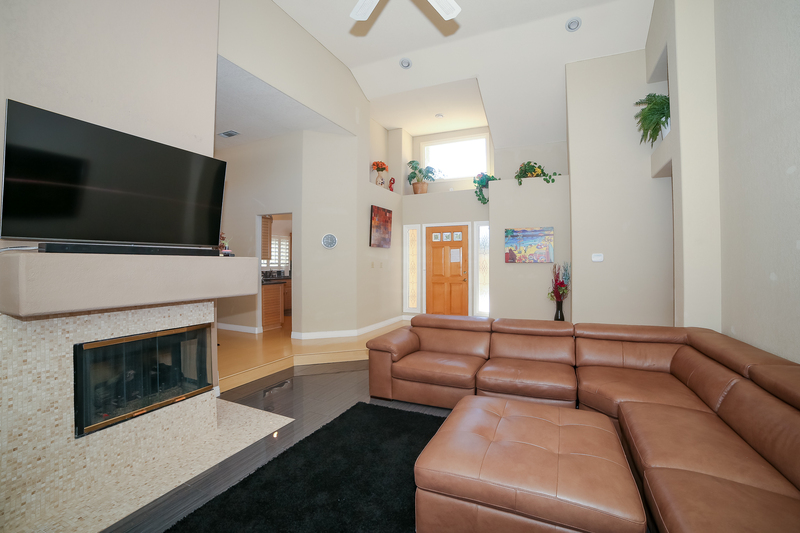 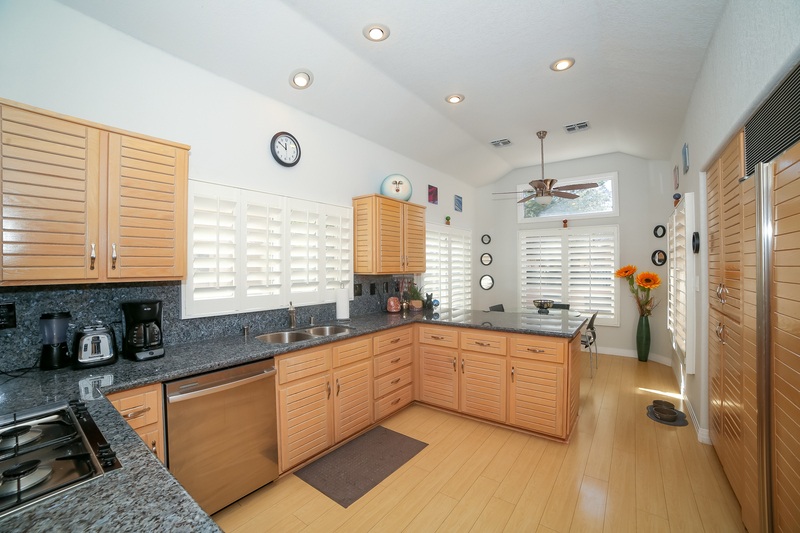 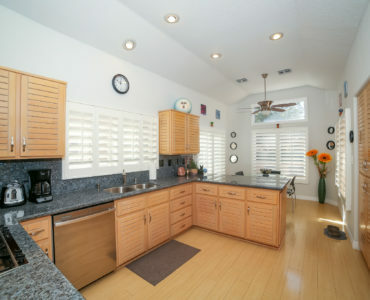 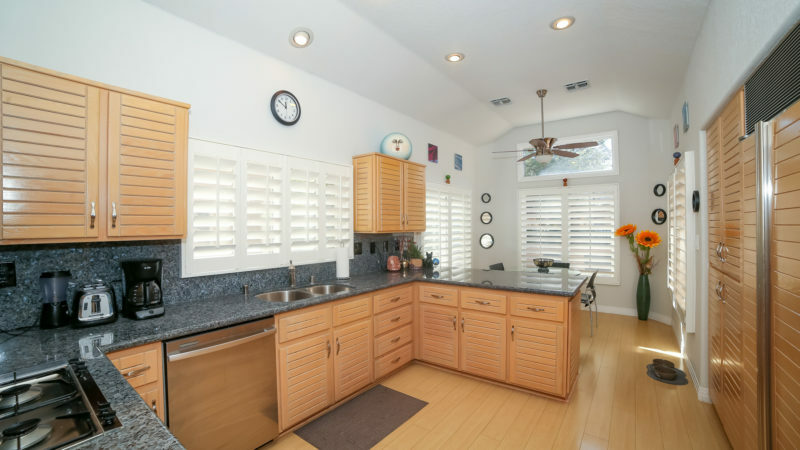 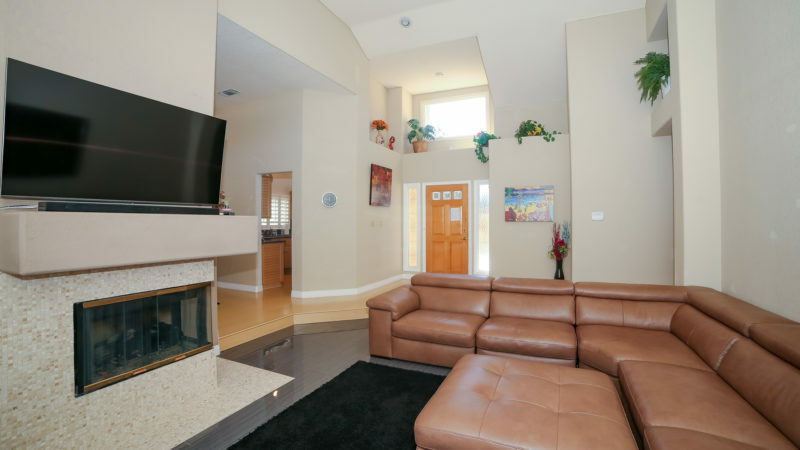 The home features high ceilings with upper windows, custom flooring, ceiling fans, granite counters and shutters. 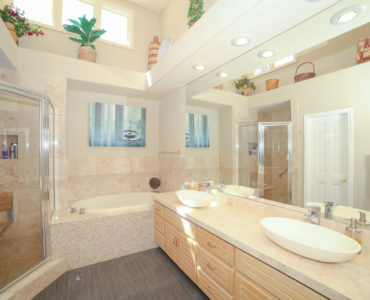 Remodeled baths. 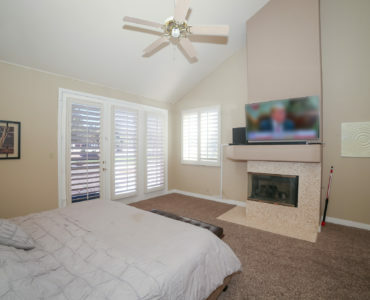 Separate den. 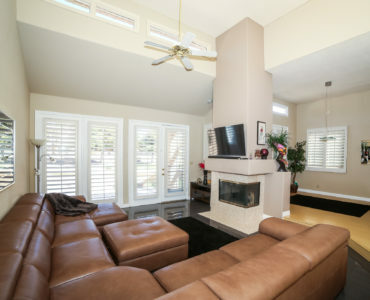 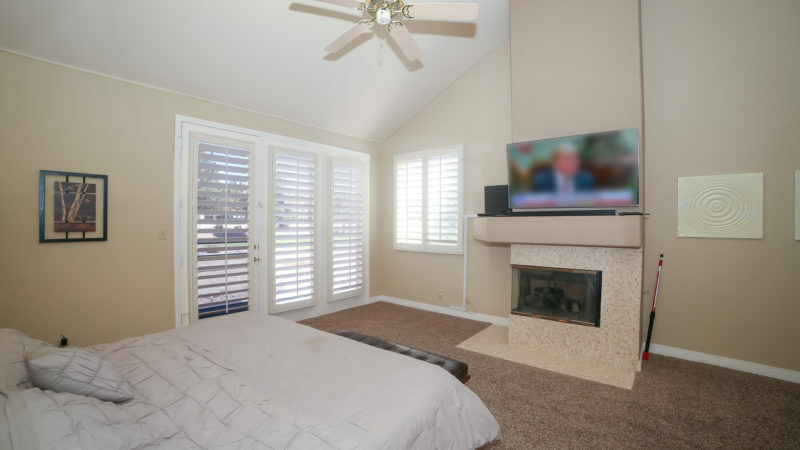 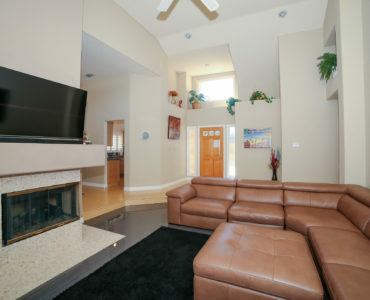 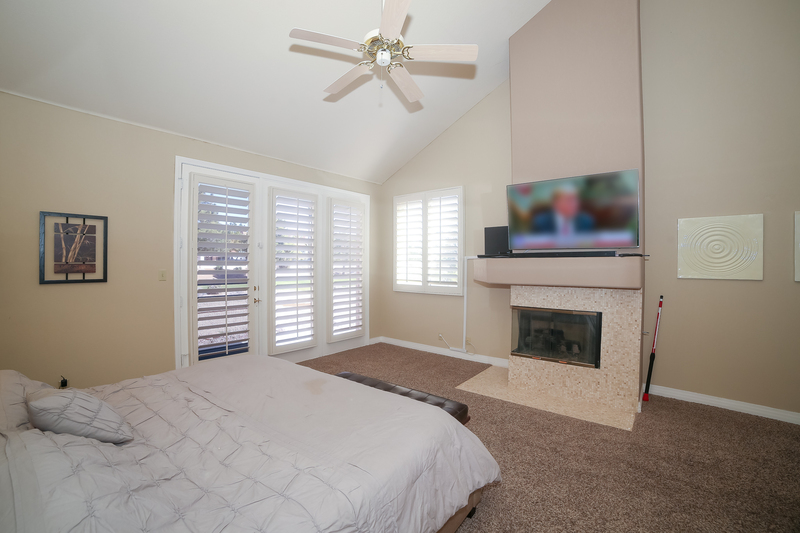 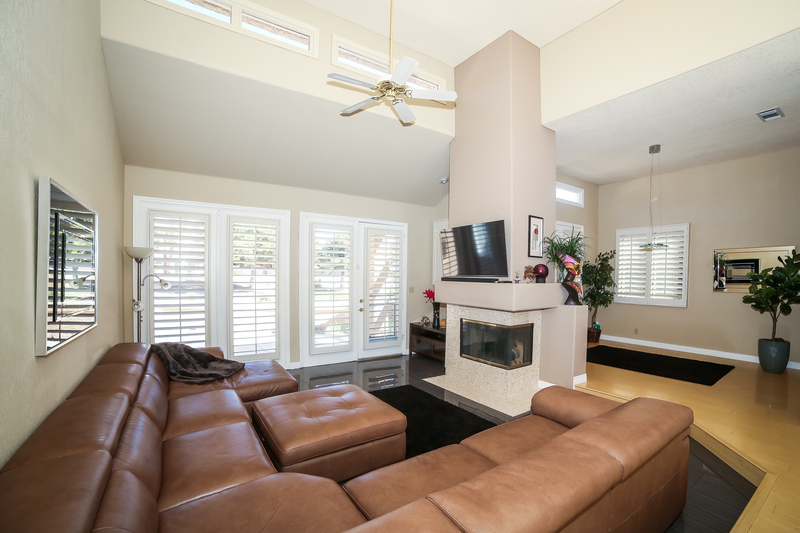 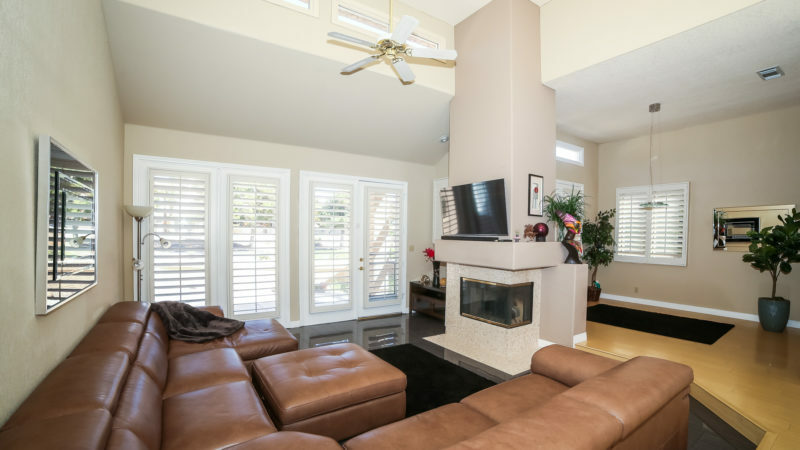 Custom tiled fireplaces in the living room and master bedroom. 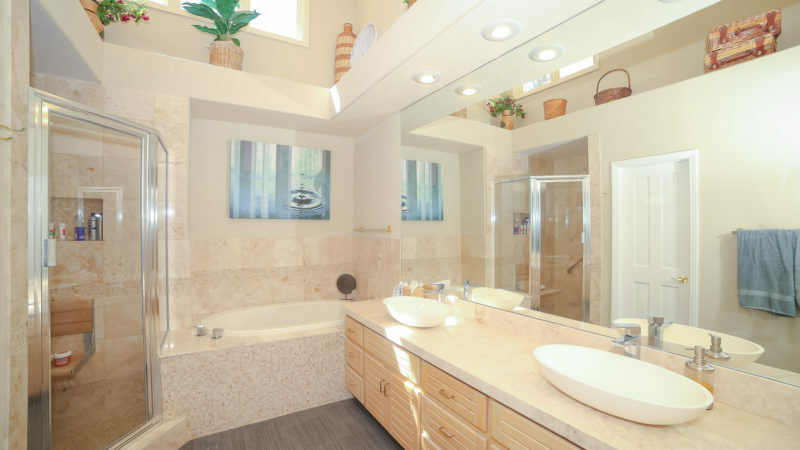 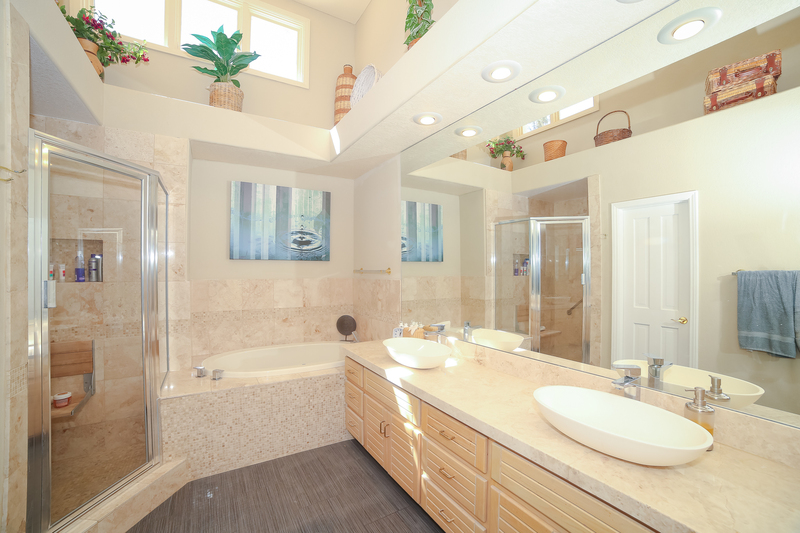 Master bath features vessel sinks, separate tub and shower. 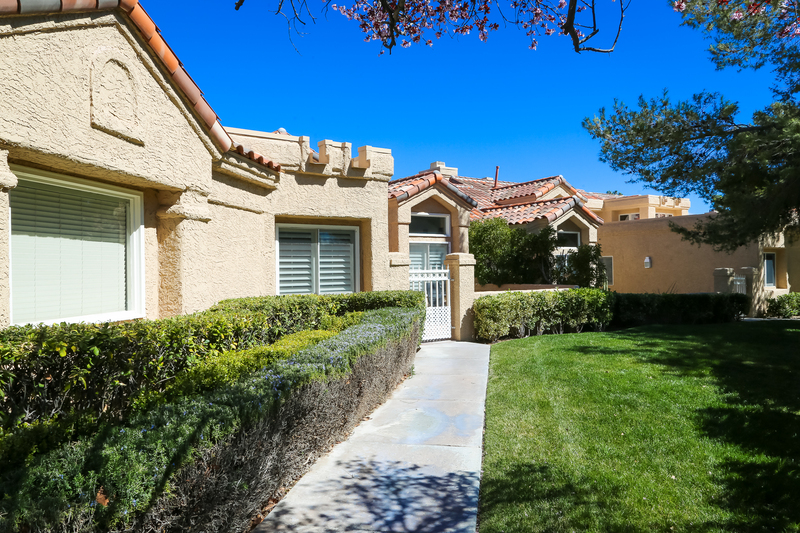 Enclosed front courtyard and wrap around patios. 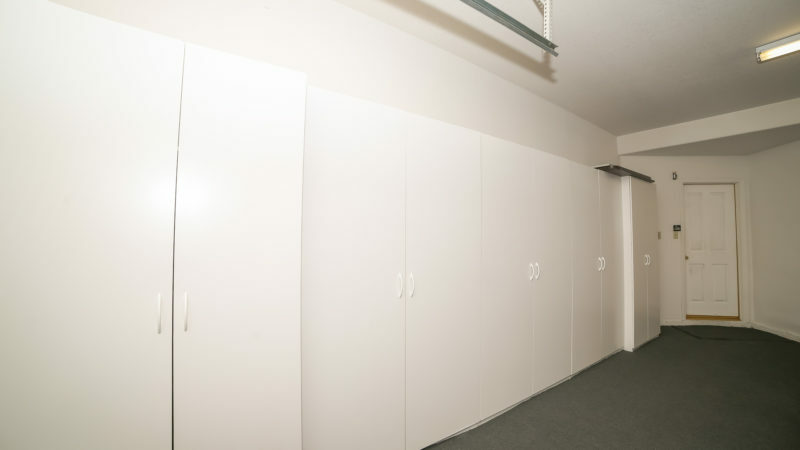 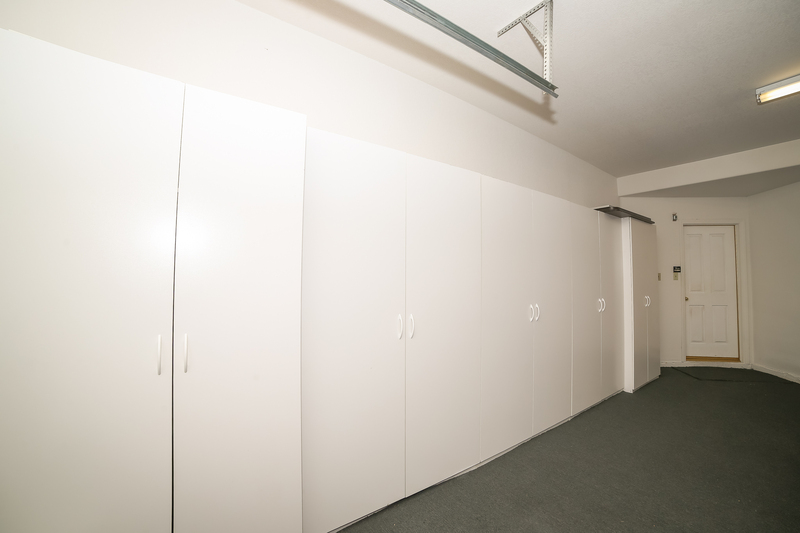 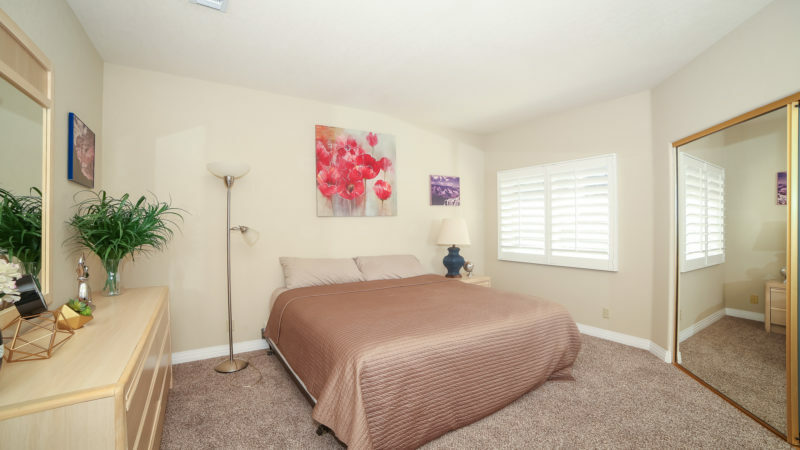 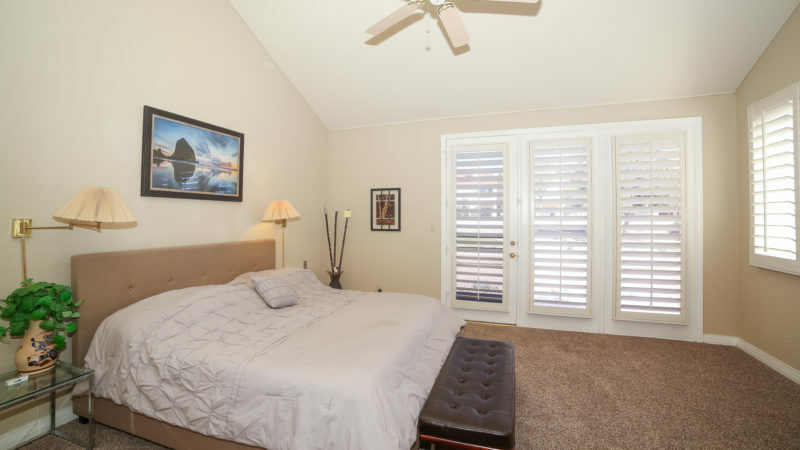 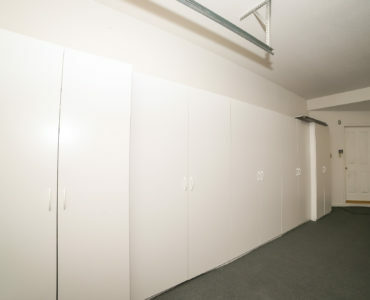 2 bedrooms, 2.5 baths, approximately 1914 sq ft.